Join us here at the Center for this special meeting when Christine Beckert Long, North Quabbin Garden Club president and graduate of the New Wild Flower Society’s Native Plants Studies program, will show us how our garden choices, both of plants and practices, can significantly encourage pollinators to get to work and make our gardens bloom and produce beautifully. 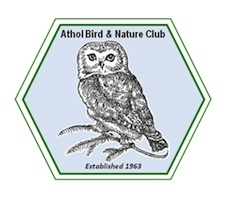 This is a joint meeting of Athol Bird and Nature Club with the North Quabbin Garden Club. Free and open to all 7:00 PM at MREC 100 Main Street Athol.